“Salamat kaayo sa inyong tabang” (thank you so much for your help) were the common words I heard from the residents of Sitio Calbasaan, Minglanilla, Cebu. 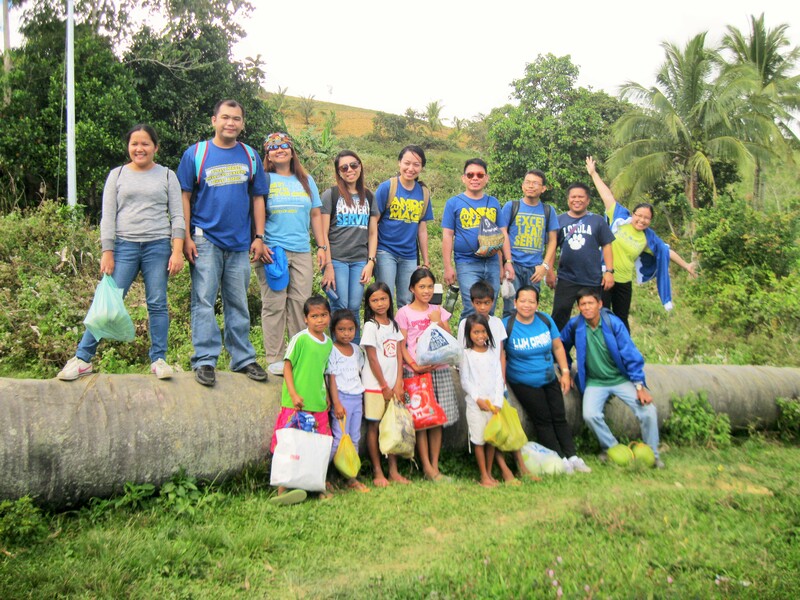 On January 9, 2016 a team of teachers revisited Calbasaan and conducted a monitoring of the Liter of Light Devices (LLD) that were distributed to around fifty households on October 17, 2015. On the same day, SHS-AdC also donated ten boxes of children’s books and 261 “bags of love” to Calbasaan Elementary School. Sitio Calbasaan is a rural community in Campo 7, Minglanilla. It is more or less 16 kilometers from the main highway. It has a public elementary school with 261 pupils enrolled. The main sources of income of its residents are farming, selling charcoal or wood fuel, barbecue stick making (at 2.00 per bundle of 50 sticks) and other small-term enterprises. Poverty among the rural folks is evidenced not only by low income but also distance from the urban area and its basic services as well as the lack of access to some basic necessities that are readily available in the city. Based on the findings of the monitoring team, one of the contributions of the devices to the people of Calbasaan is its enhancement of their community life. Naturally, people’s gathering or interaction would be limited in the absence of light, whether natural or man-made. The devices have been very helpful in allowing them to gather as a family or even as a bigger community. Their bonding time as family has also lengthened because they are more confident to talk to each other. They would not worry anymore staying a little bit later because they don’t have to spend for the kerosene nor should they worry of accidents that could be cause by the kerosene lamp. The Liter of Light – isang litrong liwanag – is an improvised solar device made of reused plastic bottle with a 55-watt solar bulb that refracts sunlight. In the Philippines, it has been popularized by MYSHELTER Foundation. In school year 2014-2015 the Grade 5 pupils with the help of their parents produced the LLDs as part of their product performance task in Science. By bringing light to the margins we also share friendship, joy and hope.